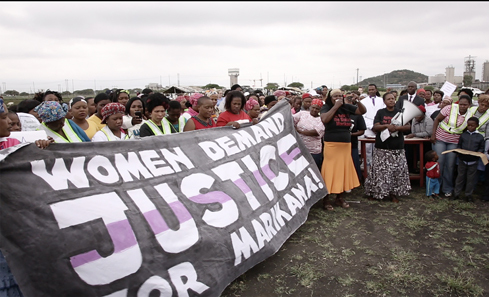 The UK’s leading global change film festival returns with a powerful programme exploring women’s empowerment, climate change and social movements across five continents. Take One Action's eleventh annual festival will host 45 events this Autumn, including two European and three UK premieres. Over 60% of features screened are directed or co-directed by women, reflecting the festival’s continued commitment to championing female voices. With concepts of truth and democracy stretched beyond recognition, with the rise of nationalist parties across Europe and beyond and independent journalism under threat, Take One Action! offers a welcome opportunity to celebrate our common humanity. Take One Action! returns to Edinburgh and Glasgow this September (heading on to Aberdeen and Inverness in November) to present another powerful selection of films responding to some of the most pressing events of our times. With over 45 events to engage audiences in vital conversations of local and global significance, in a variety of community and arts spaces, the festival continues to harness the transformative power of cinema. Venues range from a boutique, 2-seater cinema in a refurbished Leith police box to community spaces as well as Scotland’s foremost independent cinemas, Edinburgh Filmhouse and the GFT. This year sees new collaborations with Kinning Park Complex, Maryhill Integration Network and Glasgow Women’s Library. Tamara Van Strijthem, Executive Director, said: “Take One Action was set up in 2008 to bring people together, nurture conversations and empower audiences to be the change they want to see in the world – starting from Scotland. By providing access to crucial, moving stories from all over the globe as well as the information and tools to push for positive social change within their community and beyond, this festival harnesses the transformative power of film to foster a strong sense of connection. The festival will run from 12–23 September in Edinburgh and Glasgow, 16–18 November in Aberdeen and 23–25 November in Inverness. Tickets for the Edinburgh and Glasgow screenings are now available via takeoneaction.org.uk/events or through the cinema venues. Take One Action received National Lottery funding through our Open Project Fund. A key focus this year is women’s empowerment, with the Festival’s Sisters strand presenting rousing portraits of female trailblazers. The festival’s continued commitment to championing women’s empowerment is also reflected in the programme, with 60% of the films on offer having been directed or co-directed by women. 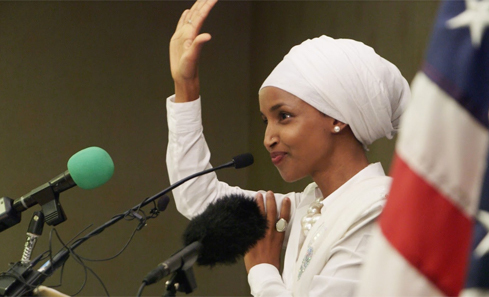 Time for Ilhan (European premiere) charts the unlikely political ascension of the first Somali refugee to be elected to the US House of Representatives. A Better Man offers a raw, intimate account of one woman’s search for a different path to healing and justice, 20 years after she escaped the man who abused her (the protagonist, Attiya Khan, also co-directed the film). 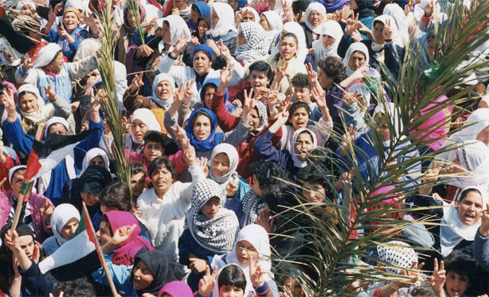 Naila and the Uprising, which closes the Festival, provides a rare opportunity to revisit the key role played by women’s grassroots mobilisation during the first Intifada and to re-appraise the history of nonviolent resistance in Palestine from a feminist perspective. (The film’s main protagonist, Naila Ayesh, will be in attendance and will present a keynote address at a special event exploring women activism, held at Glasgow Women’s Library). Social movements and the struggle for true democracy take centre stage in several titles, from Kinshasa Makambo (winner of the True Vision Award at True/False) a fascinating, no-holds barred portrait of young grassroots activists fighting for free elections in the DRC to Strike a Rock, which pays tribute to two grandmothers’ unwavering determination to improve living standards in their South African community, 5 years after the brutal repression of a mineworkers’ strike that resulted in dozens of deaths. The film also presents a damning indictment of the ties between the ANC government and the extractive industry – including compelling evidence of current president, Cyril Ramaphosa’s own involvement. Canadian essay What is Democracy? (screening on international Day of Democracy, 15 Sept) explores the very definition of a much-misunderstood concept, and a fragile institution, while Europe’s own democracies come under particular scrutiny in Golden Dawn Girls, a disturbing but necessary look at the women behind Greece’s far right party and The Silence of Others (Grand Jury Award Winner, Sheffield Doc/Fest), which chronicles a growing campaign by Spanish citizens demanding their country confront the brutal crimes of Franco’s dictatorship. A common thread weaving through many of the films in this year’s programme is the reality of displacement and the root causes of migration. These will be explored more specifically in the festival’s special short film programmes, presented at three community events. Take One Action will join forces with Kinning Park Complex for a Social Sunday takeover, which will also involve a meal, bike repair workshops and activities for kids; at Maryhill Integration Network, the short films have been curated by members of the community, who will take part in a conversation exploring how these stories reflect their own experiences as refugees, while the screening at Leith’s Out of the Blue Drill Hall will be accompanied by a meal cooked by Refugee Community Kitchen. Climate change is, of course, also fuelling displacement across the globe – opening film Anote’s Ark (UK premiere) explores the fragility of low-lying Pacific island nations’ fate, as Kiribati’s president, Anote Tong, spends his last days in office trying to save his homeland from being swallowed by rising ocean levels while his citizens grapple with the very real risk of becoming climate refugees. 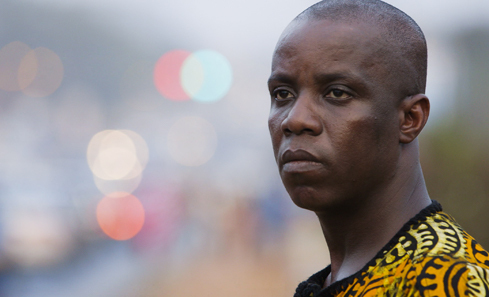 Liberian activist and Goldman Environmental Prize winner, Silas Siakor, is the focus of Silas, which pays tribute to his commitment to expose and crush illegal logging and land rights violations – and to embolden communities to seize back control of their lands. The Green Lie (UK premiere) is both a tongue-in-cheek and deadly serious exploration of corporate greenwashing, while The Cloud Forest (European Premiere) offers an intimate portrait of a Mexican community’s radical re-defining of their relationship to nature – and each other – to save an endangered ecosystem. 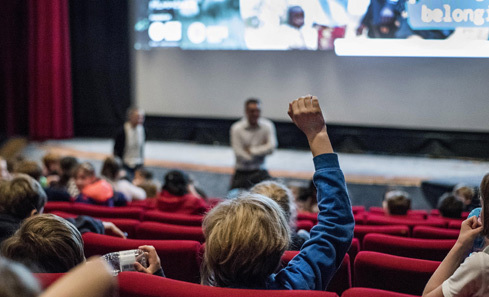 Every screening will be followed by a conversation enabling audiences to explore their own connection to the issues at the heart of the films with journalists, campaigners, politicians or the protagonists and filmmakers. The programme also includes additional workshops, masterclasses and events. Both screenings of music documentary Silvana will be followed by a special performance by Scotland-based music and spoken word artists whose work explores women’s empowerment, marginalised experiences and notions of belonging – confirmed performers include hip hop artist Erin Friel, singer-songwriter Erin Friel, poets Tawona Sithole, Nadine Aisha Jassat and Katie Ailes. Director Anjali Nayar will attend the Edinburgh and Glasgow screenings of Silas, and offer a masterclass with the Scottish Documentary Institute. Likewise, director Almudena Carracedo will attend the Edinburgh and Glasgow screenings of her Sheffield DocFest Grand Jury Award winner, The Silence of Others, co-presented with CInemaAttic. (She will be joined for the Edinburgh screening by Scotland-based Spanish filmmaker Iciar Bollain.) Ms Carracedo will also take part in a masterclass co-hosted by Scottish Documentary Institute. Naila Ayesh, the key protagonist of Naila and the Uprising, will attend the screenings of the film in both Glasgow and Edinburgh, and will deliver the keynote address of the Women Making Change event at the Glasgow Women’s Library on Sunday 23 September. Kathrin Hartmann, the protagonist of The Green Lie, will attend the screenings of the film in both Edinburgh and Glasgow and will take part in a special event on “greenwashing,” hosted by Global Justice Now, on Monday 17 September (Edinburgh). Take One Action is collaborating with this year’s Glasgow Youth Film Festival to co-host a screening of Young Solitude, a film selected by GYFF Young programmers, who will introduce the film and host the post-screening conversation. 3 special short film programmes will be presented in community venues: Take One Action will join forces with Kinning Park Complex for a Social Sunday takeover, which also offers a meal, bike repair workshops and activities for kids; at Maryhill Integration Network, it will present four short films exploring migration, displacement and integration – co-curated and presented by members of the Maryhill community, who will reflect on their own experiences as refugees; while Leith’s Out of the Blue Drill Hall will host a special screening accompanied by a meal cooked by Refugee Community Kitchen. Take One Action! is the UK’s leading social change film festival, linking global stories to local opportunities for a fairer, more sustainable world. it empowers audience members to engage directly with film-makers, activists and each other - and to take action themselves. The festival is supported by funding from Creative Scotland and the Bertha Foundation and also runs in Aberdeen (16-18 Nov) and Inverness (23-25 Nov). This year’s partners include Oxfam Scotland, Christian Aid Scotland, Unison Scotland, Global Justice Now, Moving Docs, Engender, the Scottish Documentary Institute, the Global Health Academy at University of Edinburgh and Glasgow City Council. Take One Action in 2018 is also being supported by SPEAK!, a global campaign to help give a voice to everyone, everywhere, which has been developed by CIVICUS, as part of the Civic Space Initiative. The 17 feature films and 24 short films will be complemented by special events for schools, free community events, director masterclasses and campaigner training workshops, in twelve venues across Edinburgh (Filmhouse, Grassmarket Centre, Edinburgh College of Art, Out of the Blue, Leith Police Box and The Melting Pot) and Glasgow (Glasgow Film Theatre, CCA, Glasgow Women’s Library, Kinning Park Complex, Maryhill Integration Network and Gilmorehill Cinema). The festival’s patrons are film director Ken Loach and screenwriter Paul Laverty, and it is funded by Creative Scotland and the Bertha Foundation. All festival events are accompanied by discussions with filmmakers, journalists, campaigners, academics or politicians. Take One Action! are politically neutral. Our intention is to inspire people to feel empowered to take their own actions to make the world a fairer, kinder, more sustainable place. 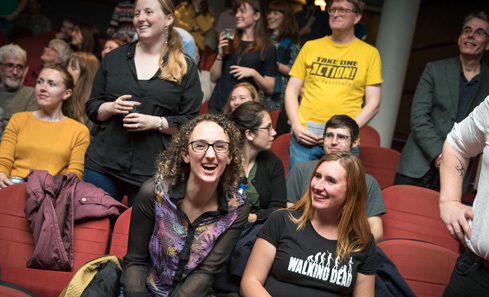 We also encourage people to organise their own film screenings through our TOA Locals programme. For further information about Creative Scotland please visit www.creativescotland.com. Follow us on Twitter @creativescots,Facebook www.facebook.com/CreativeScotland and Instagram www.instagram.com/creativescots.